While the Google Play awards night at Google I/O is fun, Google has today announced a new way to recognise great apps and games on a more regular basis. 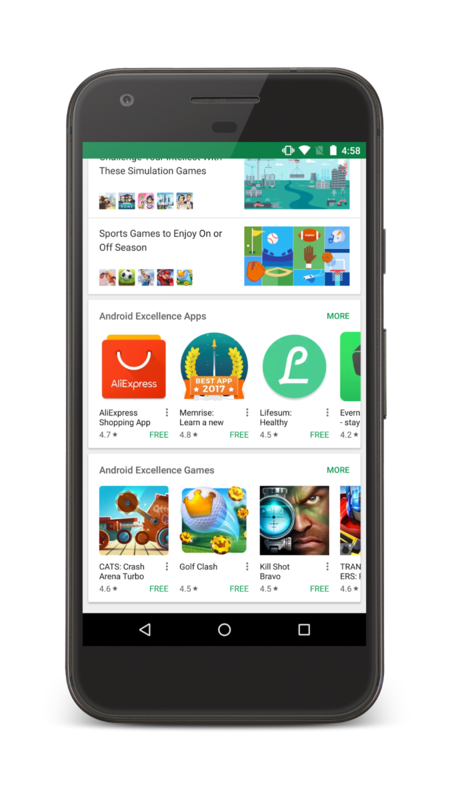 The Android Excellence program is their way to recognise the best games and apps available in Google Play. The list of games and apps will be refreshed on a quarterly basis, with the list of games and apps included in the ‘Android Excellence category added to the ‘Editors Choice’ category on Google Play. While we all love Google apps, the Editors Choice awards haven’t been stacked with Google apps, although you will see them occasionally in the ‘You Might Also Like’ section if applicable. If you’d like to get your app featured, there’s no nomination form, but Google has released a new Beta of their Play Book for Developers which showcases best practices for app development and distribution. The app features up to date news and videos relevant for developers so it may be worth a look.